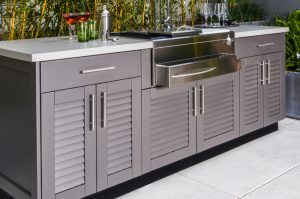 Be the life of the party serving beverages in an abundantly cool way with the world’s coolest rolling beverage/patio cooler. 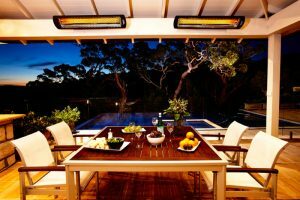 The Patio Pal will not only keep your guests cool and comfortable, but it takes the event up a notch. The ample 114-quart beverage cooler holds up to 154 cans of your favorite drink and includes easy-grip handles for mobility. Don’t fret about the limes, just drop the included cutting boards into the side handles and you’re garnishing beverages with ease. 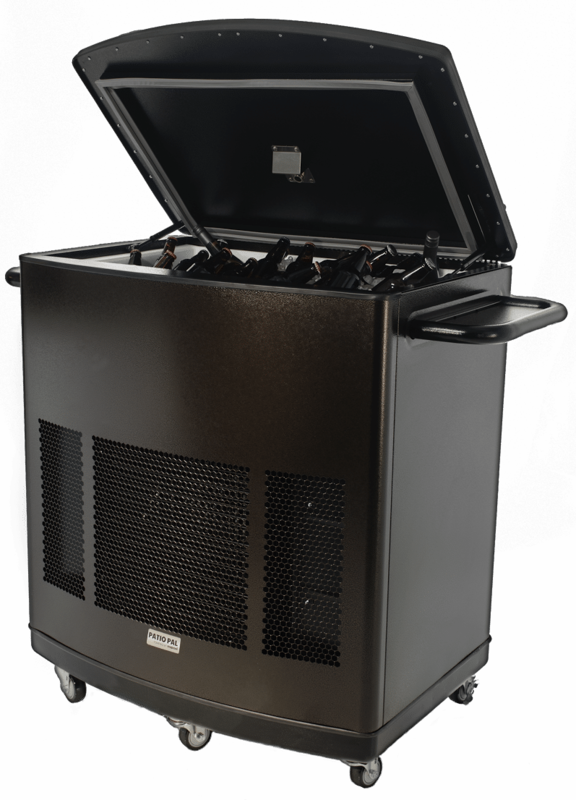 The luxury ice chest opens easily with gas springs and solid steel hinges. The upgraded wheel design with two locking and three free turn casters lets you bring the party anywhere. 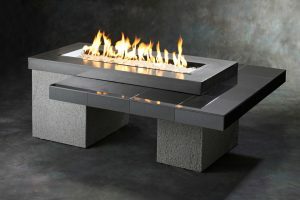 The convenient front handle offers quick access to the watertight, insulated interior which keeps drinks cold for hours. You also get an integral heavy-duty bottle opener and magnetic bottle cap catcher that keeps things tidy. The lower half of the unit is the bonus! 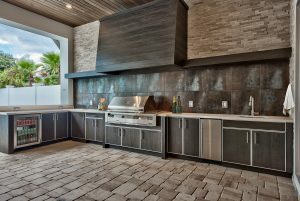 This powerful evaporative cooler, using water and air, will keep you and your guests cool on your hot patio. 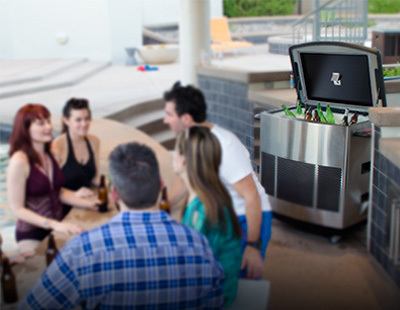 Let the party stay totally cool with the Patio Pal cooler. Comfortably cool your life with the World’s Coolest Patio Cooler. Stash your favorite beverages right inside your Patio Pal cooler. This cooler stores up to 154 – 12 oz. cans in the ice chest, which also touts a convenient easy flip bottle opener in the lid of the ice chest cooler. And don’t worry you won’t lose those bottle tops because of the magnetized catch provided with the opener. 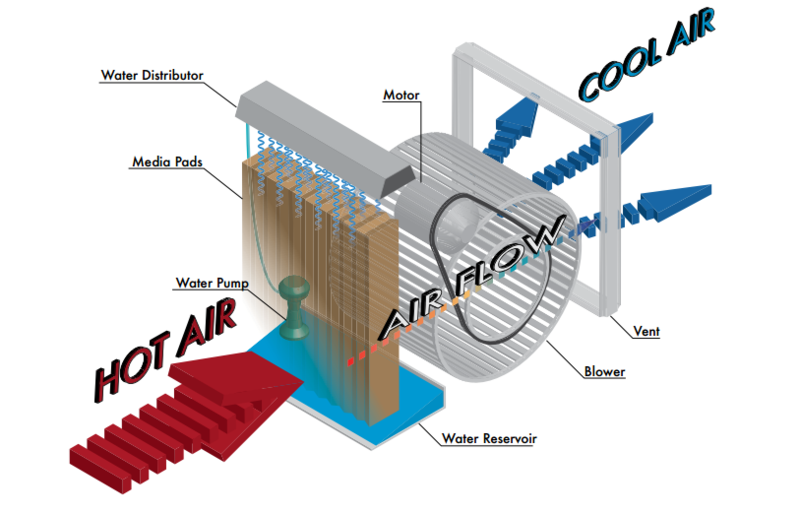 Cooling Capacity up to 1000 sq. ft. Remember the chill of wind hitting your face after swimming on a hot day? Well that’s evaporative cooling.